Make your workday move to another beat with the new Rumba™ Screen Accessories! Find your work rhythm with an Eraser Tray to hold whiteboard supplies such as markers and erasers so they are always close at hand. 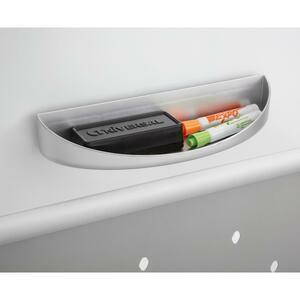 This magnetic tray easily adheres to the whiteboard, or perforated steel panel on the screens. Now you can accessorize how you dance through your day!